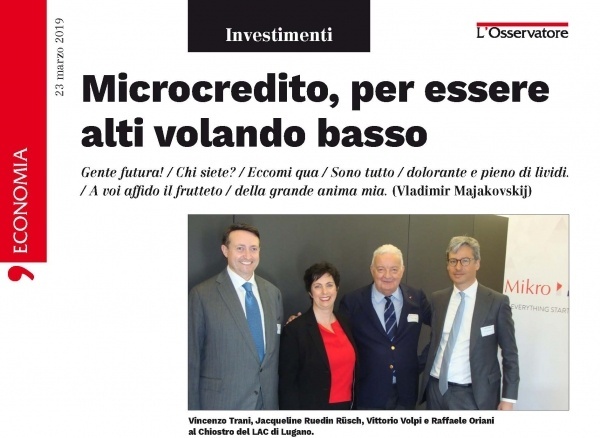 Vincenzo Trani, Presidente di Mikro Kapital, con Vittorio Volpi, Chairman del Supervisory Board, Raffaele Oriani, Associate Luiss School e Jacqueline Ruedin Rüsch, CEO Privilège Management, hanno presentato al LAC di Lugano le virtù del Microcredito quale nuova Asset Class redditizia. 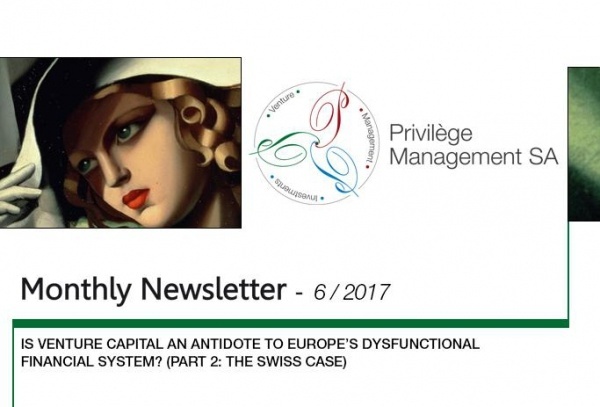 L'UE è preoccupata per quanto accade in Italia. Conti pubblici fuori misura, passi indietro sulle riforme, rischio di contagio per il resto dell’Eurozona. 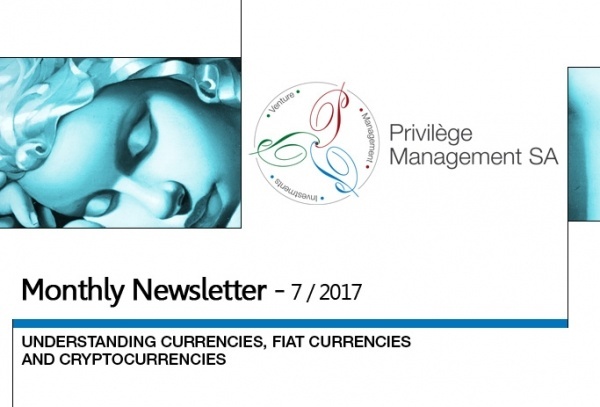 La mancanza di progressi nell’affrontare i problemi «ci porta a concludere che gli squilibri dell’Italia restano eccessivi», afferma il commissario Pierre Moscovici. 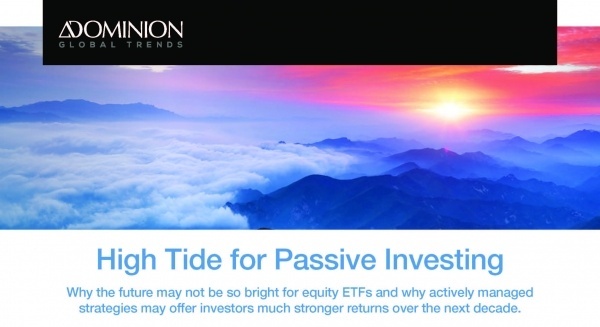 Why the future may not be so bright for equity ETFs and why actively managed strategies may offer investors much stronger returns over the next decade. 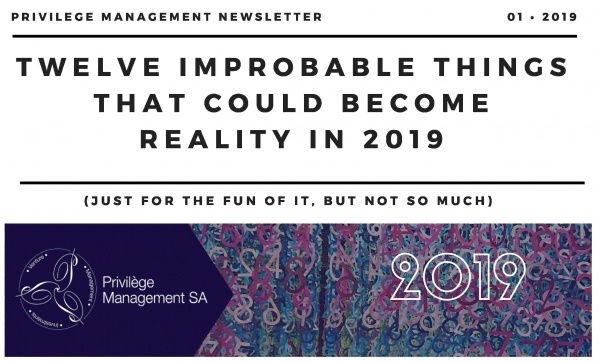 I thought I would start the year with a few thoughts on what could happen in 2019. While I view this as a fun exercise, I leave it up to you to assess just how far-fetched the below “thoughts” really are. 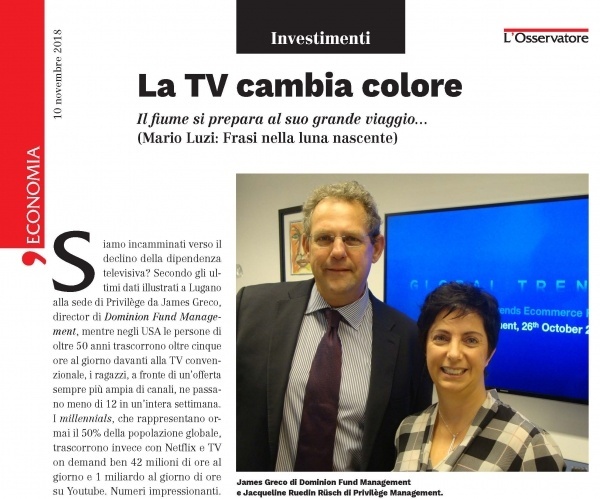 Siamo incamminati verso il declino della dipendenza televisiva? 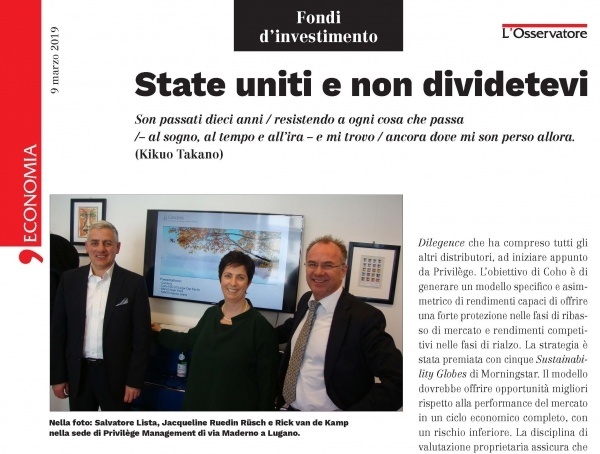 Secondo gli ultimi dati illustrati a Lugano alla sede di Privilège da James Greco, director di Dominion Fund Management, mentre negli USA le persone di oltre 50 anni trascorrono oltre cinque ore al giorno davanti alla TV convenzionale, i ragazzi, a fronte di un’offerta sempre più ampia di canali, ne passano meno di 12 in un’intera settimana. 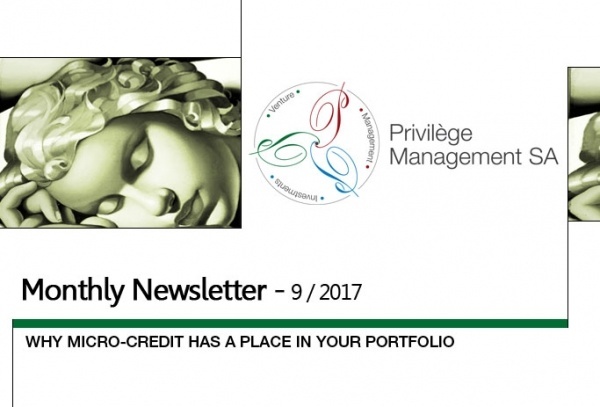 In ottobre s’è svolta a Zurigo la giornata del Venture Day organizzata da Privilège Management. 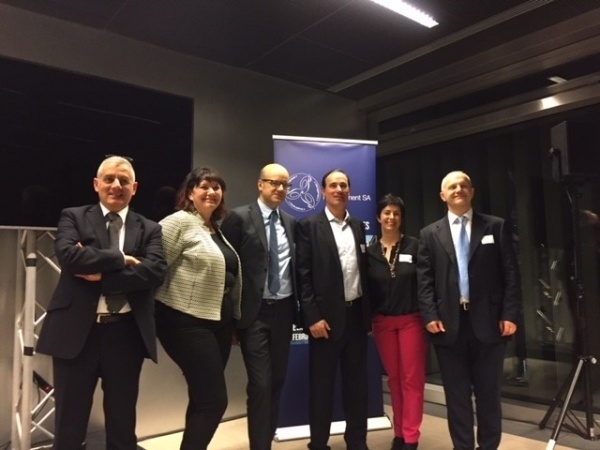 Ne parliamo con Jacqueline Ruedin Rüsch, fondatrice e CEO della società di Lugano. 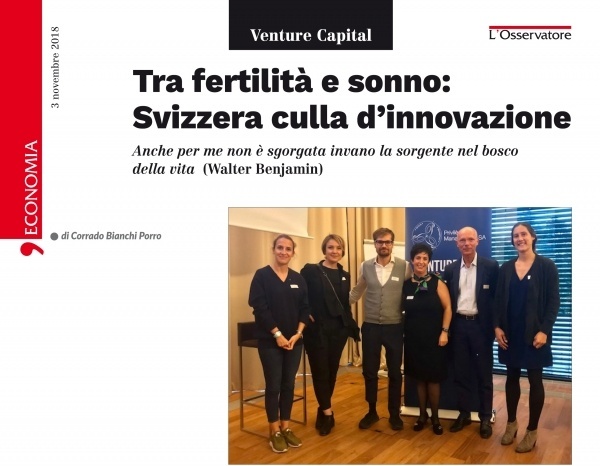 Una giornata, spiega, dedicata al Venture Capital perché la Svizzera è un contesto quanto mai favorevole per l’innovazione e il corollario di servizi che qui si trovano. As practitioners active since 2014 in venture capital investing, we are beginning to see a definite change of attitude on the part of our HNW clients toward venture capital. This does not surprise us. In fact, investors, especially those who are professionally advised, appear to know we are presently in the middle of a transition whereby central banks are gradually raising interest rates (FED), or already mapping out their exit strategy (ECB). The relative outperformance of the US stock market is cited as evidence that the trade war is being won. While this type of narrative may be politically useful in the runup to the November mid-term elections, I believe it misses the point completely. There is an eerie quiet in the equity markets of developed countries. Yet there is no shortage of reasons to be worried. Amid the bombast surrounding the tariff confrontations, sanctions, cold and hot wars, QE tapering and general hubris, the world hardly seems like a tranquil place. “I don’t do it for money. I’ve got enough, more than I’ll ever need. I do it to do it. Deals are my art form. Other people paint beautifully…or write wonderful poetry. I like making deals.”. On May 5th, 2018 small groups of Marxists and academics gathered to celebrate the two hundredth anniversary of Karl Marx’s birth. Protectionism is based on the naive idea that the wealth of a nation depends on how much more it sells to the rest of the world relative to what it buys. We are pleased to announce that Privilège Management SA will be event partners of the Fashion Innovation Week 2018, held from March 22nd 2018 to March 27th 2018, under the high patronage of Città di Lugano. Stubbornly low inflation in the presence of unprecedented monetary stimulus has been the source of considerable debate. 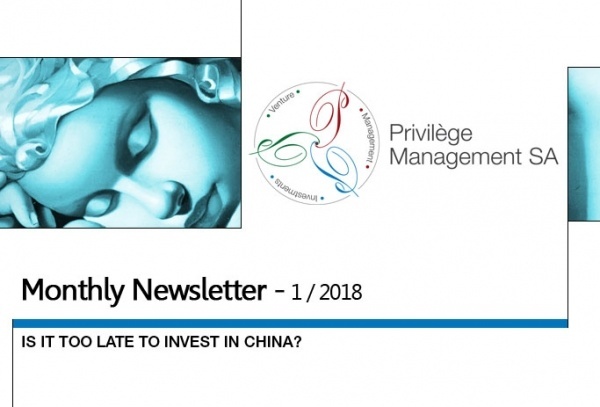 When it comes to investing in China’s equity market we have become accustomed to a narrative centred on GDP growth. But at this stage in China’s evolution it is important to note that the (permanent) decline in China’s economic growth is a perfectly normal development. 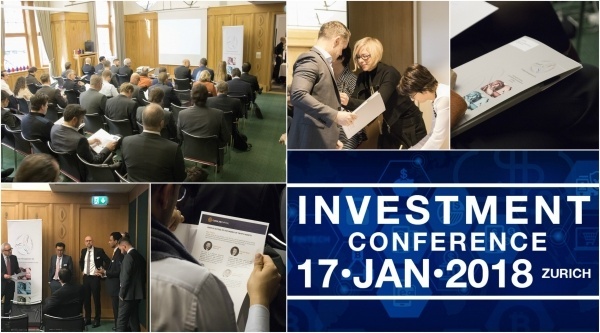 Thanks to all the participants and the speakers, it was a great afternoon full of insights. 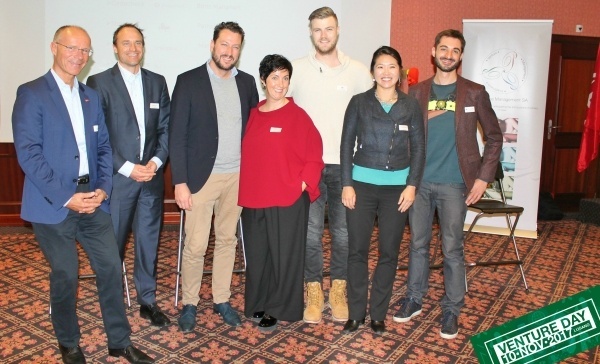 On November 10th, 2017 Privilège Management SA held its first Venture Capital Day at the Hotel Dante in Lugano. 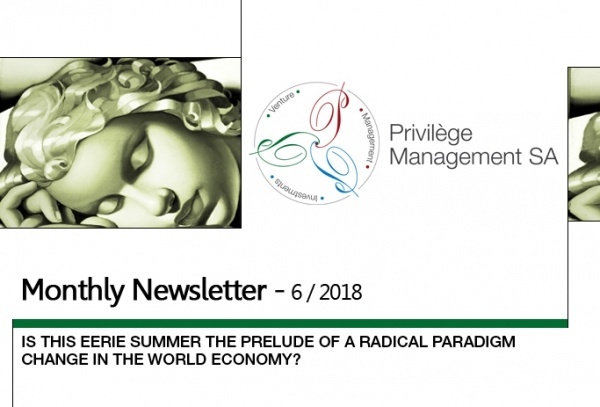 In the first part of this newsletter we delved into the nature of money and underscored the connection between money and the real economy. It is no coincidence that in the era of unconventional monetary policies cryptocurrencies are becoming the object of increasing interest and scrutiny. 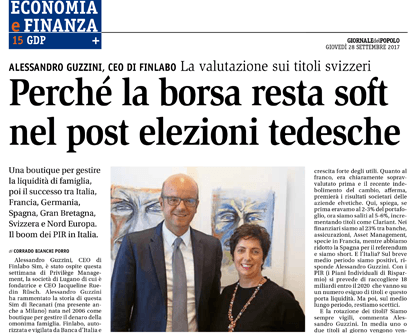 Giornale del Popolo, 28.09.2017 Alessandro Guzzini, CEO di Finlabo - la valutazione sui titoli svizzeri "Perchè la borsa resta soft nel post elezioni tedesche"
In the tenth edition of the Global Innovation Index, Switzerland came out first again and has been ranked first since 2011. If this surprises you, then you haven’t been paying attention. 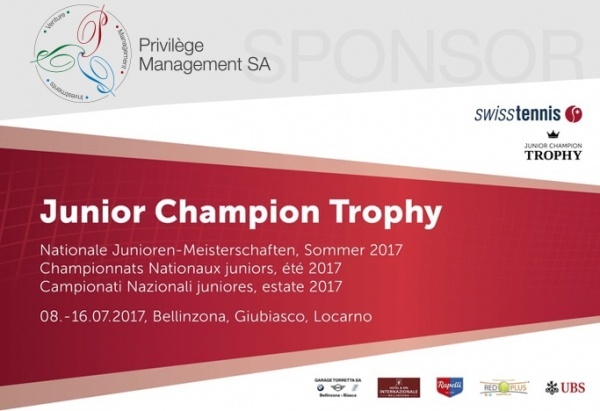 Privilège Management SA is among the official sponsors of the Junior National Tennis Championships, which will be held from 8 to 16 July 2017 in Bellinzona, Giubiasco and Locarno.